» Amsterdam has started to remove dockless bike-share scheme bikes from the city’s streets. Amsterdam has started to remove dockless bike-share scheme bikes from the city’s streets. 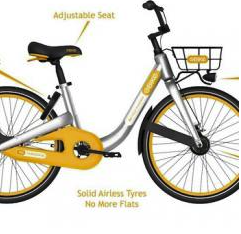 The municipality has stated that all dockless share bikes will be temporarily banned. Talks have been initiated with the dockless companies, including oBike from Singapore, Donkey Republic from Denmark, Dropbyke and FlickBike from Lithuania and Urbee and Hello-Bike from the Netherlands.